It is time for another CASology challenge. Check out the latest challenge – Active! My computer crashed last week. I’m hobbling along on a spare (yes, I am VERY thankful we have a spare). I don’t have my normal applications. To edit my photo I used a really awesome free online photo editor…but I don’t know how to use it, lol. Please forgive the lack of color adjustment. New image…. This card took me forever! OK, not this card….I had a really ambitious interactive card that I wanted to do, but it required me to be an engineer and I am NOT an engineer. Seriously, it sat on my desk for weeks while I tried this and that. I finally gave up a few days ago and stamped this. I do like it, but I feel like a failure anyway, lol! My hubby has been learning guitar, so I’ll give this to him. While he isn’t very active while playing, I was going with the “rock” part. 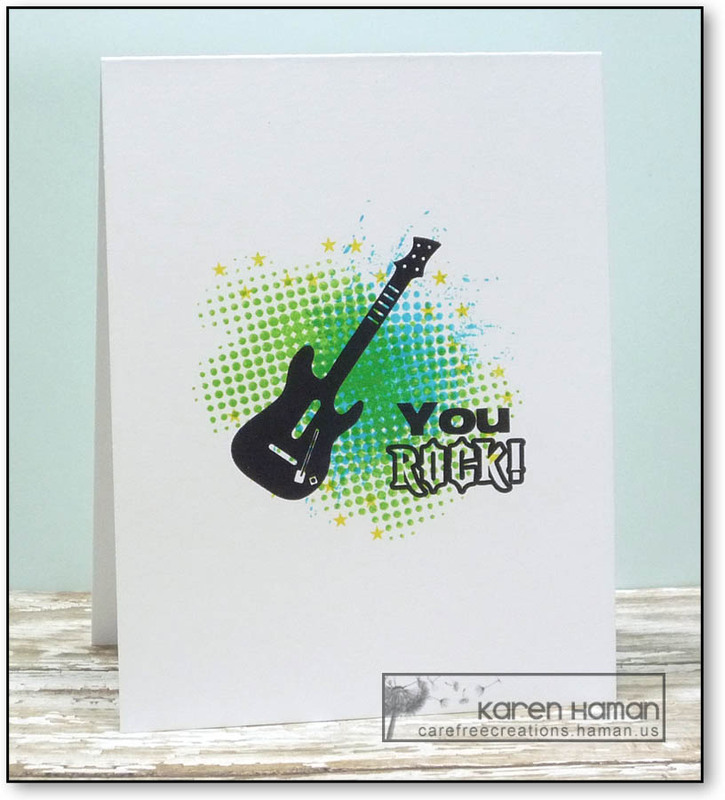 This entry was posted in cards, CASology and tagged olc by karen h. Bookmark the permalink. This card is SO NOT a failure. I love it. Very cool contrast of the crisp and clean guitar with the grungy and funky background. This card rocks!